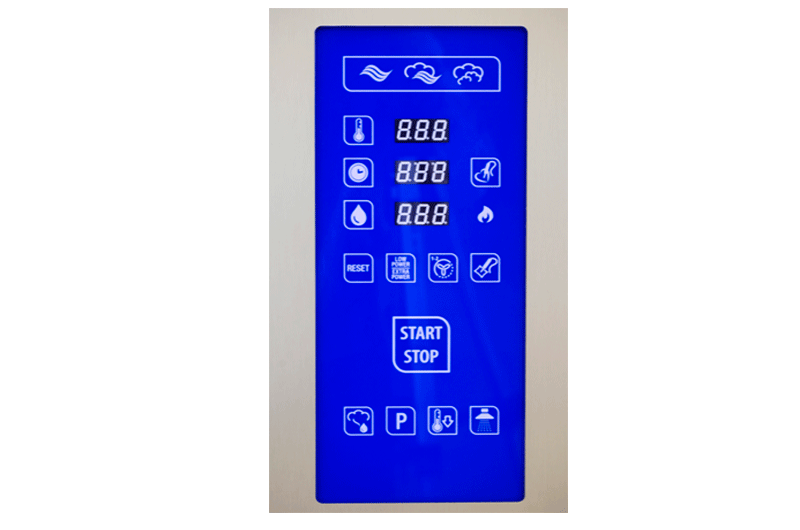 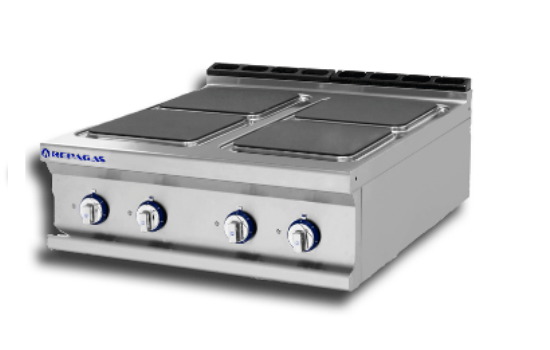 Our range of combined oven can be gas or electric. 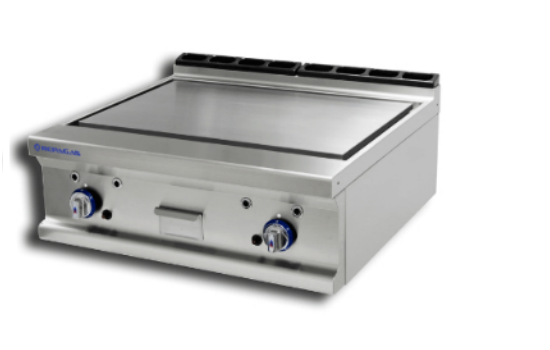 They have a polished stainless steel cooking chamber, and a steal top and bottom, compatible with trays GN 1/1 and GN 2/1. 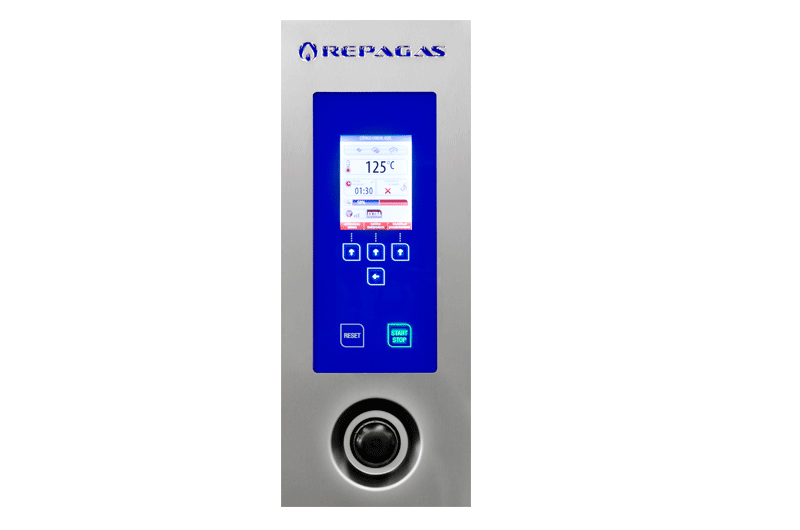 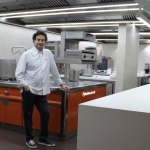 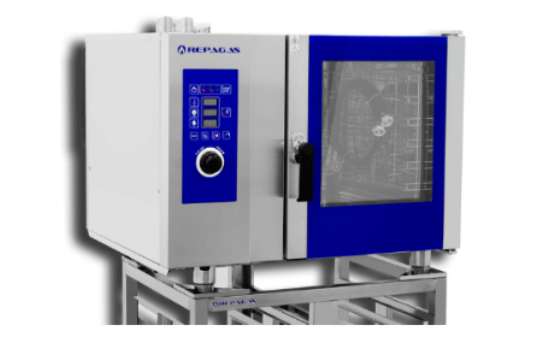 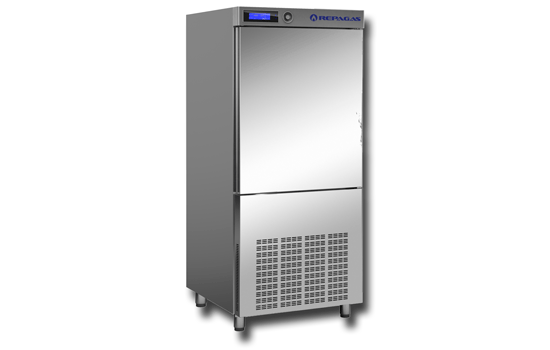 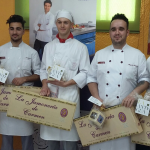 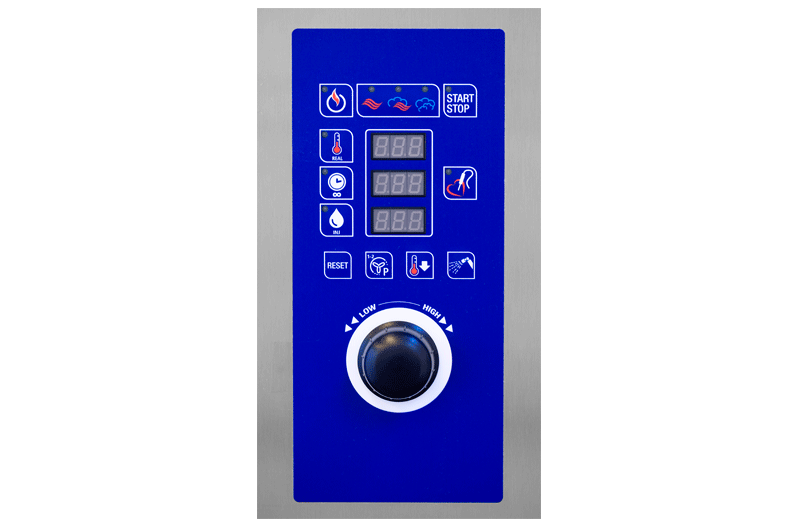 Repagas combined ovens have various elements that make them easier to use: fan and steam generator, halogen light in the cooking chamber, electro-mechanical or digital control panel depending on the model, removable tray support structure, door with intermediate stop positions at 90º and 130º, double glazed tempered glass with an open air chamber, drip trays and condensation outlet. 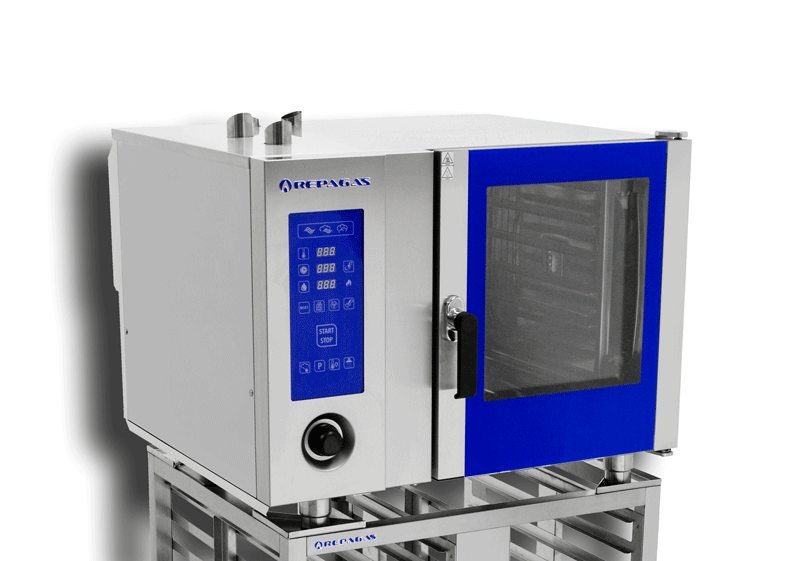 For your safety, our convection ovens have ceramic fibre heat insulation with an anti-radiation barrier, thermal elements and thermostats connected to alarms, and IPX5 level of protection. 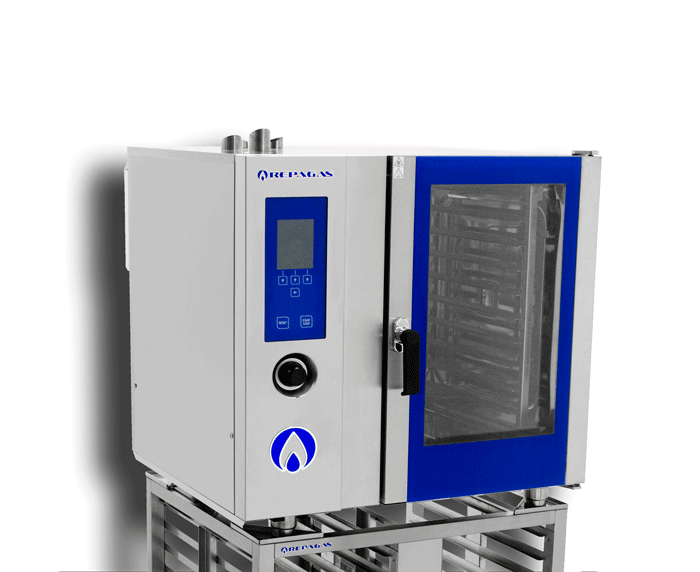 The deflector panel between the cooking chamber and the exchange/fan compartment with a flap opening make these ovens easy to maintain and clean.